Virginia Rhodes, EdD has over 35 years experience in Urban School District Policy, Development, and Administration and Teaching. Dr. Rhodes' specialty is persistently failing city schools. Background - Dr. Rhodes provided consulting services to an international firm on certain aspects of U.S. public school practices prior to their exploration of a related market sector. She also acted as a consultant to the University of Cincinnati Career Center assisting in the development of pre-service teacher hiring expectations. Dr. Rhodes was retained by Cincinnati Children’s Hospital Medical Center to co-investigate a study for mental health and achievement factors related to excessive student mobility. As a Consultant to AdvancedEd Accreditation Team School Evaluation, she has evaluated various high schools on issues of performance. Dr. Rhodes has researched and written numerous articles on school mobility, achievement, culture, and STEM (NSF). She has delivered lectures on urban school district policy and other related topics to various groups and educational institutions. View Dr. Rhodes' Expert Witness Profile. Timothy A. Dimoff is a nationally recognized authority on high-risk workplace/human resource issues, security, vulnerability assessments and crime, corporate investigations, security related HR issues, violence/violence prevention, security analysis and vulnerability assessments, drugs/substance abuse issues, law enforcement/private security procedures. He is an experienced consultant and trainer for corporations, government and police procedures. He's authored How to Recognize Substance Abuse, and Life Rage, a chilling examination of societal rage and safeguards against it. He's been a commentator and expert witness for MSNBC, CNN, Court TV, the BBC, The Chicago Tribune, The New York Times, The Washington Post, and The Wall Street Journal, and court trials. 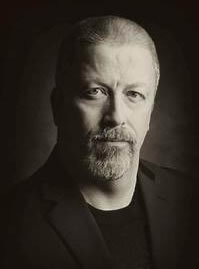 He's certified by ASIS as a Certified Protection Professional (CPP™), is a TASA registered legal expert in HR, management training, police/private/corporate security procedures. He's a member of The Ohio and International Narcotic Associations; The Ohio and National Society for Human Resource Managers; and the American Society for Industrial Security. Life Rage – Is the World Going Mad? It began with "Road Rage" and quickly expanded into "School Rage", "Work Rage", "Air Rage", "Anti-government Rage" and "Anti-business Rage." . . . Life Rage examines these rages...their causes and effects, and offers hope and solutions. Americans can come together and make our lives and businesses safer and better. MASTERS: College of NJ - Special Education. MASTERS: Franklin Pierce Law Center - Education Law. CEO of Three Sixty HR , Maureen Clark, SPHR-CA, began her Human Resources career in banking and Fortune 100 manufacturing. Ms. Clark has been consulting in Human Resources for over 27 years serving more than 200 clients in high tech, manufacturing, services, not-for-profit, education, and public sectors. She is particularly skilled at analyzing difficult workplace problems and creating win-win outcomes. Ms. Clark has held numerous positions on academic, professional and community service boards, and is Vice Chair Emerita on the University of San Francisco Board of Trustees. She is also a member of the Society for Human Resource Management (SHRM), the Northern California Human Resources Association (NCHRA), the Forensic Expert Witness Association (FEWA), the Association of Workplace Investigators (AWI), ProVisors and the Peninsula Executives Association (PEA), where she is a Past President and recipient of the Executive of the Year award. View Maureen Clark's Expert Witness Profile.